Traumatic pulmonary pseudocysts (TPP) are rarely talked about, developing in less than 3% of patients with pulmonary parenchymal injuries. Resolution usually occurs within a few weeks to a few months. A retrospective study was undertaken in 30 cases treated in Antalya Training and Research Hospital, Turkey, from January 2014 to December 2017. The 30 patients with TPP were 28 males (93.3%) and 2 females (6.7%) aged 14–64 years (mean age 31.9 years). Most of them are located in the right lower lobe (50%). The mean size of TPP was 2.07 cm. The overall resolution time for TPP was found to range from 8 to 124 days with a mean of 45.1 ± 32.9 days. 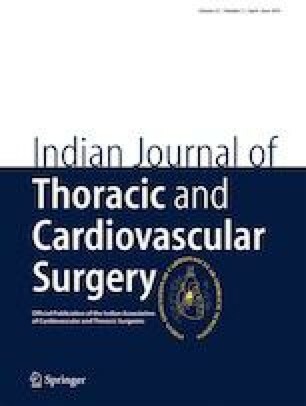 Computed tomography (CT) is a more beneficial than chest radiograph for early diagnosis. Physicians should control follow-up chest radiograph or CT scans until the pseudocyst resolves. Conservative treatment is acceptable in most cases, but intervention may be necessary if complications show up.